Students in Year will have a single period, each week, of Music, Dance and Drama during which they will engage in a range of practical work intended to give them the skills required for further successful study in Key Stage 4 (Yrs 9 – 11). In Year 8 students will continue to have a single period of Drama and Music each week. The Performing Arts at Harrow Way have seen an upsurge in activities over the last few years with a wide range of exciting innovations: workshops with industry professionals, regular performances and the introduction of two new qualifications: the RSL Certificate in Creative & Performing Arts and the WJEC GCSE in Music. We start the year with the assumption that students, while they may have engaged in drama at their Primary schools, will not have had any formal training in dramatic skills or techniques. This first year aims to give students a firm grasp of stagecraft and acting technique. We also aim to grow the students’ confidence through regular performance opportunities; their creativity through a variety of challenges/projects; and their self-awareness, through regular evaluation and personalised target setting. Having explored the basics of theatre in Year 7, in Year 8 we further develop the skills that students will need in KS4: character research/creation, textual analysis and scripted technique. We aim to give students the ability to make character choices based on the script, overcome the challenge of line learning and understand what goes into a full scale performance (both on-stage and back-stage). Short Film Festival – A series of shorts films which have been entirely planned, scripted, filmed and edited by the students themselves. learning and film-making. Self-evaluation is also developed, each performance is analysed and evaluated by students and staff. The course includes a live public performance in the Spring term and another showcase, this time of filmed work, in the Summer term. This internally assessed unit sees the students exploring a variety of texts and exercises designed to develop their acting skills. It culminates in an assessed performance / final exam during the Year 10 Summer Showcase. This unit is an externally exam, set by the exam board each year. 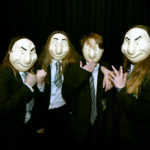 It is based around an established text and requires the students to bring a challenging script from page to stage using all the techniques and skills they have developed during their time here at Harrow Way Community School.